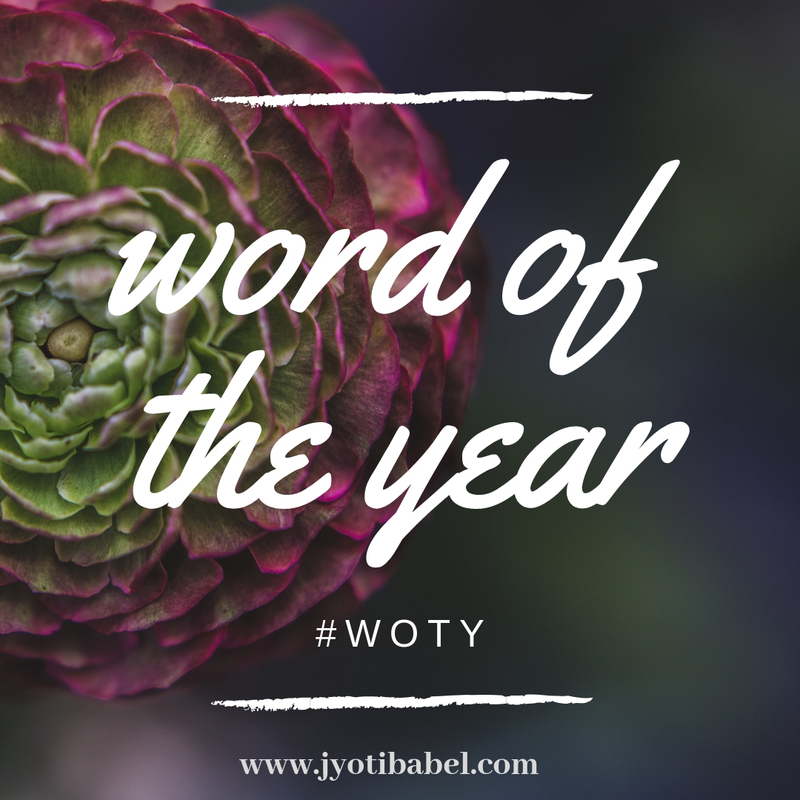 Have you heard the 'Word of the Year' concept yet? Well, here is my two cents about it, but before that please bear with my rants for the year that was. 2017, the year that was. 2017 for me was a mixed bag affair. There were some highs and there were some lows. I did work on some of the goals I had set for myself for the year. For example, after almost a year of no posts on this space, I took up blogging again, although I could not be as consistent as I would have liked. I took out time to read some books too. I also got the opportunity to travel a little. But, most of my time went in taking care of the needs of my little one. In the role of a mother attending the beck and call of her toddler, came the realization that motherhood is a demanding job, one that can keep you on your toes 24x7. In the process of fulfilling my mommy duties, and taking care of the home, I always had my hands full. Too much multitasking became the norm, and soon it started to take a toll on the quality of my life. I felt burnt out at the end of most days. Thankfully, I realized sooner than later that I have my own limitations and that I do not have to be a superwoman all the time. I learnt to delegate and prioritize which have made life easier. I also learnt that it is okay to put yourself first before others sometimes. 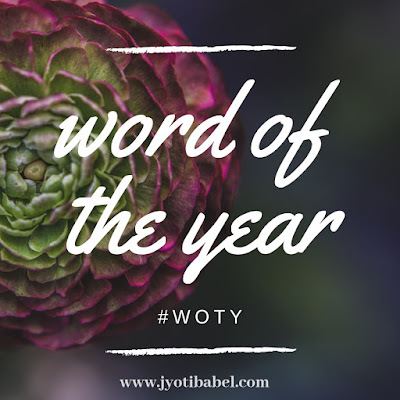 So, when I came across the concept of choosing a Word of the Year - a word to guide you throughout a year, instead of making resolutions, ONE word came to me spontaneously. I am a little old school in that and have already made a list of resolutions to work on and stick to throughout the year. And I am going to do it with the help of this one word - MINDFULNESS. Mindfulness is quite the buzzword these days. But, what exactly it is? 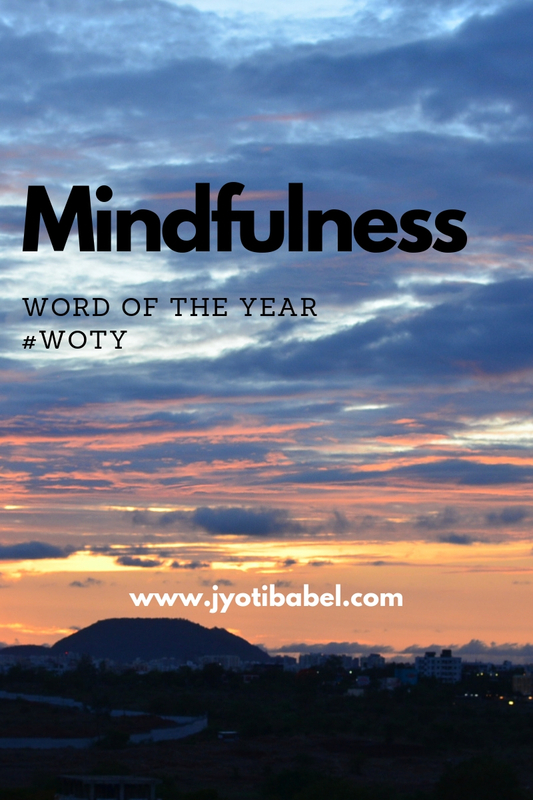 In simple words - mindfulness means being present in the moment. It is the state of being conscious and being aware in the present moment. Doesn't sound like much, right? But it is. Today, in our fast-paced lives we are always multi-tasking. So, practically we are never living in the moment. I know being mindful is a habit and it will take a conscious effort to be there and I am going to make it there one baby step at a time. There are a number of ways I can exercise mindfulness in my day to day life. Here I am listing a few ways and I am sure more will come to me in the way. Take one thing at a time and do it well. Say, when I am spending time with my little one, I will just focus on that and be there in that moment. What I will not do is check my phone for social media updates, or flip the page of a book I am reading. I will concentrate on doing one thing at a time and do it well. Mindfulness while cooking. I will try to cook as much we can eat and cut back on any food waste. More thoughts need to be put into menu planning. For that, I need chalk out a weekly menu plan a week in advance so that I can order groceries in time and the work in the kitchen is streamlined. It will also help me in developing food related posts here consistently. Mindfulness while eating. For that, I will keep the phone away when having food so that I can savour the food I eat. I am often told that I am a fast eater - which means that I don't chew my food well. Being mindful while eating will be good for my gut too. Mindfulness online. When you are into blogging, spending time online on your blogs, visiting fellow bloggers and spending time on social media is necessary. But, once we get online there are so many things that can distract us. Being mindful when online can help me in being productive when I am online. So, on any particular day, I am going to make a list of things need to be done online and set timelines for that so that I don't while away my time on unnecessary things online. There are so many more avenues to put mindfulness to exercise. In our words, in our actions, in our relationships, in our responsibilities towards the society, environment, etc. and more. I hope to better myself by being mindful. If you have any tips more me for the same, let me know. Have you chosen your Word of the Year?